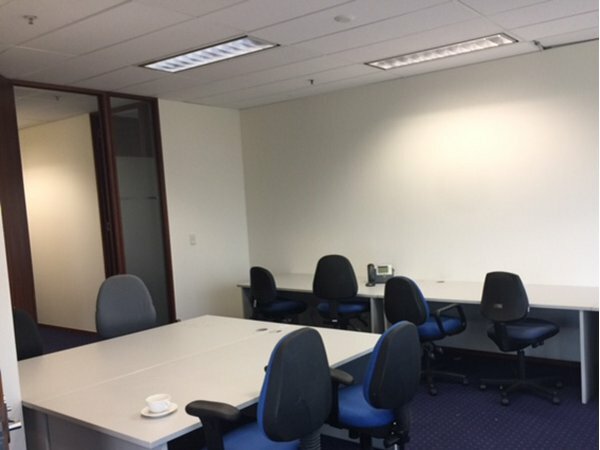 At the Absolute Office Centre we rent or hire most office equipment and office furniture, nationally around Australia and so are an ideal choice for organisations running meetings, events or conferences. Absolute Office Centre has assisted many schools, universities, businesses and organisations, from co-ordination through to the ultimate presentation around the country... and we've done this many times. We have alliances throughout Australia & we can duplicate a Melbourne conference in Sydney or even Wagga Wagga ... seamlessly. We are a team of professional operators who can manage & co-ordinate your conference, from simple set up, to on site AV management. We have people who know what they are doing. We are also associated with several conference centres throughout the country & are also available for consultation in regard to conference centres capabilities. 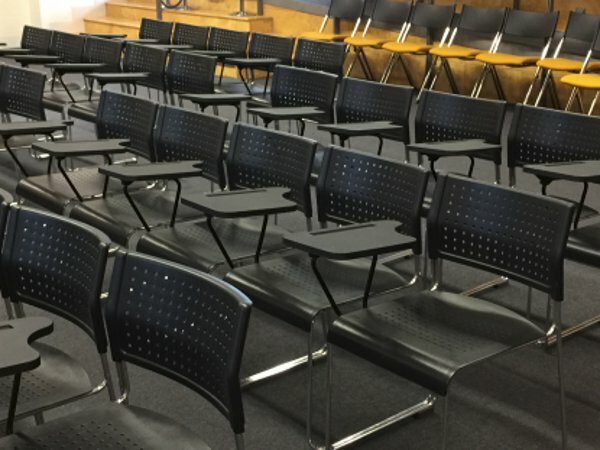 We supplied 160 tablet arm lecture theatre chairs for a 2 day conference. The tablet student chairs lock together at the base ensuring straight rows that don’t become mis-aligned during the course of your event. 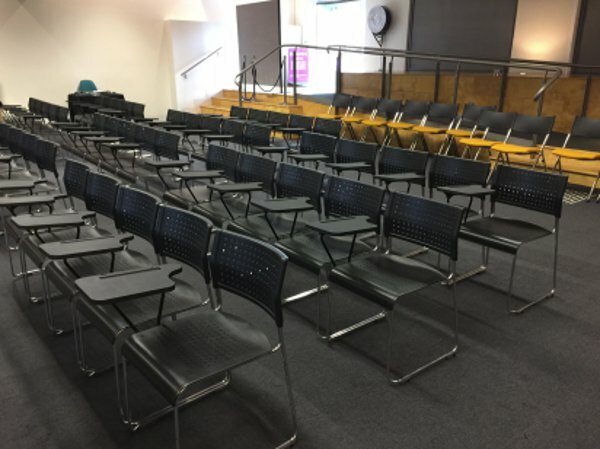 We have a huge range of conference chairs for hire, so if you have an upcoming conference contact us now. We supplied office desks & gas lift chairs for a long term temporary office requirement. 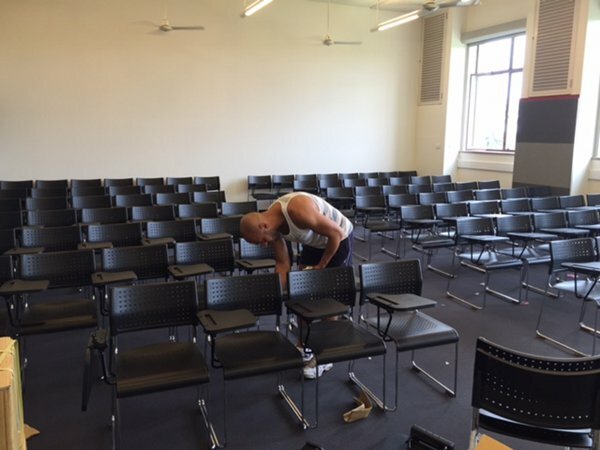 We supplied student or lecture theatre chairs for temporary Classrooms in several different areas of the University for an extended period during renovations (3 Months). 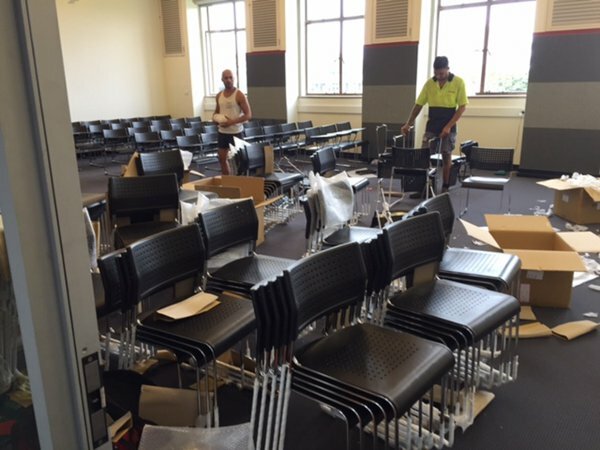 We delivered and set up 300 tablet student lecture theatre chairs, which were then removed by us at the conclusion of the hire agreement. 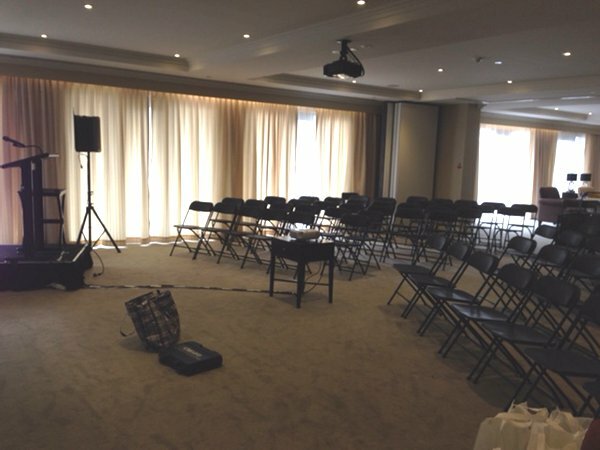 150 Jumbuck folding Chairs were supplied and set up by us for a new sales launch event with Staging & Public Address equipment supplied for the afternoon Meeting. So, as you can see, we have the capability to ensure your conference or event goes smoothly. 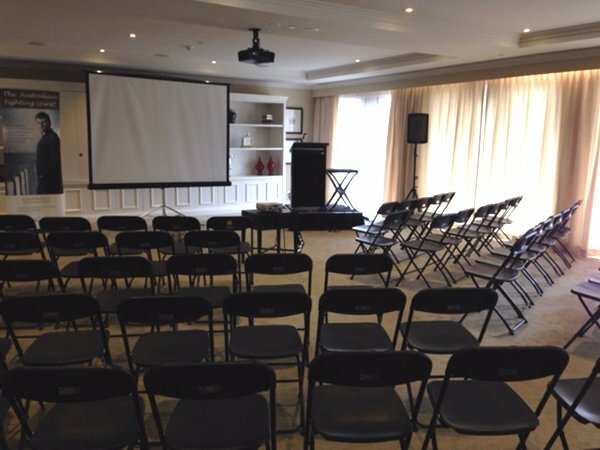 Feel free to call us (on 0418 574 767 or in Victoria on (03) 8420 7788), email us or use our Inquiry/Booking Form to make an inquiry regarding any aspect of conference or event equipment and furniture rental. As our available products change regularly, it is not possible for us to list every conference rent or event rent or hire product we have on this site. 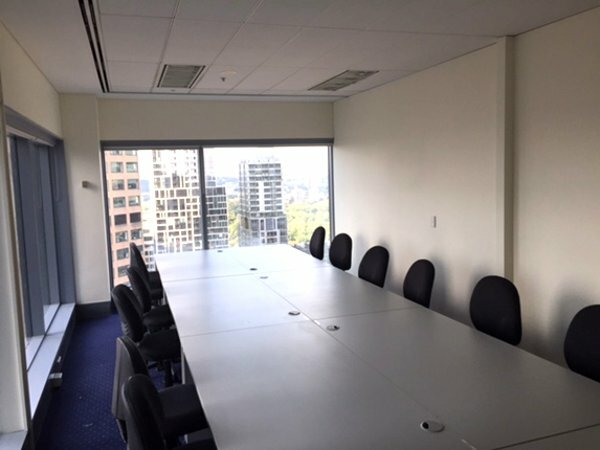 If you cannot find what you are looking to rent or hire for your event or conference, please feel free to call us (on 0418 574 767 or in Victoria on (03) 8420 7788), email us or use our Inquiry/Booking Form to make an inquiry. We will endeavour to respond to your email or Inquiry Form submission within 24 business hours.